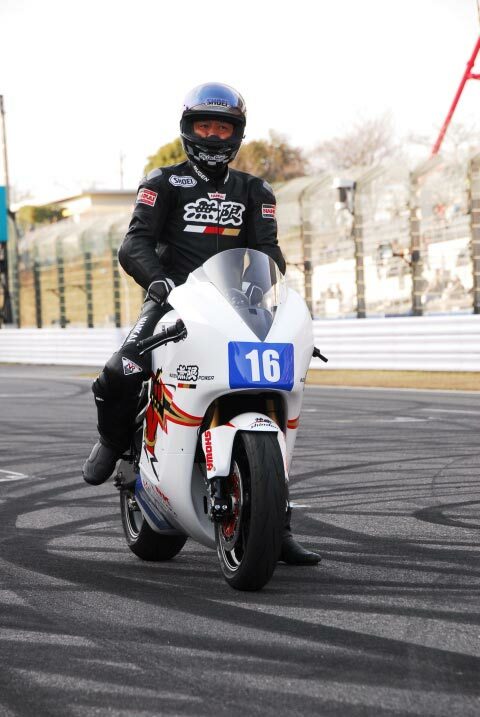 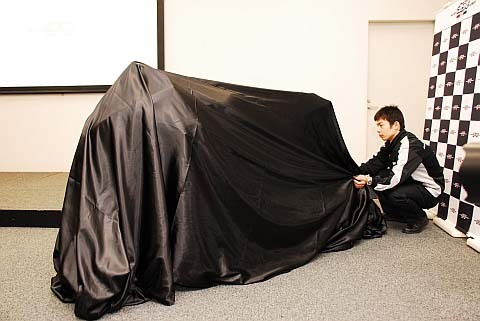 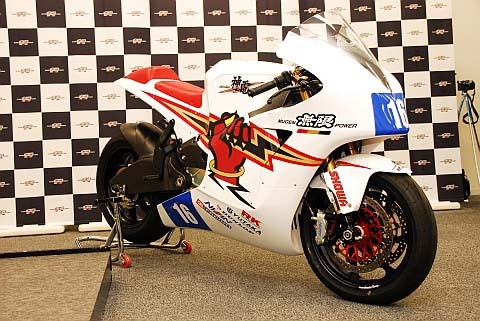 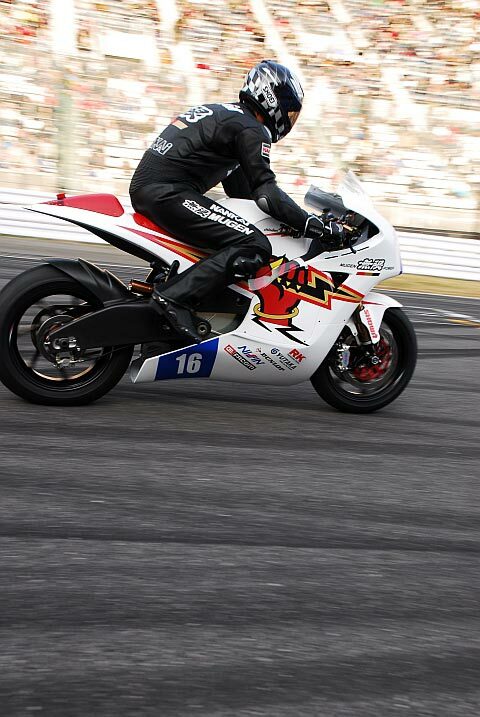 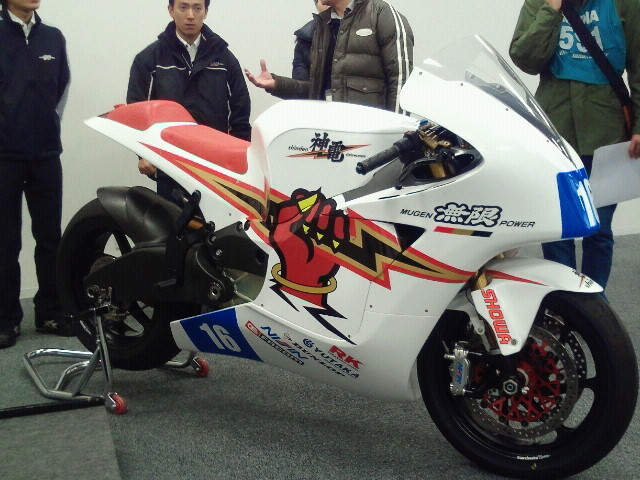 So far we have no information on Mugen’s battery pack capacity (voltage is said to be over 370 volts though), but we do know that the Shinden will have a curb weight 570 lbs, meaning that a consinderable amount of battery is likely on-board the race bike. 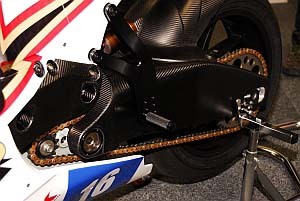 Looking at these photos (apologies for how small they are), we can see that Mugen is not using a concentric motor/swingarm, as was used with the Honda RC-E concept. 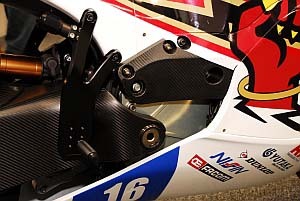 The braking controls have been moved completely to the handlebars, and will operate the Nissin brake calipers, while suspension is unsurprisingly done by Showa, another Honda-owned company.